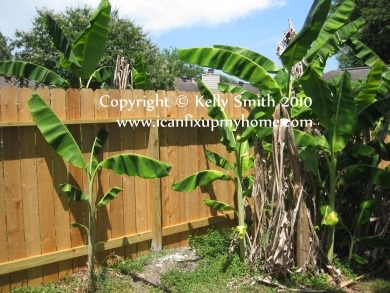 I recently got this email question, Kelly, we are building our new home on a 1-acre plot and want to put up a fence. We want to keep our dogs and goats from wandering. What do you recommend? Read on for my reply. 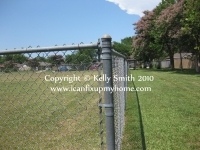 There are a number of different types of fences; which one is right for you? It depends on a number of factors; function is the first thing to look at. Some neighborhood association rules wont give you a choice. Environmental factors are another consideration for some homeowners. Generally, the idea is set metal or treated wood posts in concrete and then filling in with a particular building material. Lets discuss some popular types. The photo above shows a good example of cedar pickets. Itll keep your dogs and other livestock from wandering off. The cedar will give you a bit of insect control and it ages gracefully, but the pressure treated costs a bit less, which is a consideration on such a large lot. Pickets offer good privacy when your pickets are nailed up snuggly. They need to be well anchored in windy areas. Both cedar and pressure-treated materials are green and sustainable and offer a long life span. If nailed rather than screwed, some maintenance is required; nails will work out and need to be reset periodically. Cyclone fencing isnt the most eye-friendly type, but it has some great up-sides. If you have high winds, hurricanes, or tornados, the chain configuration lets a strong wind through. It also keeps thieves at bay; they can see Fido and he can see them. Want added security? The chain link can be fixed with constantina or barbed wire. This will go a long way to curtailing residential burglary. Youve seen this stuff in prison movies and around auto impound lots. This won do much to restrain your dogs or goats, but with larger livestock like horses and cattle it is both effective and inexpensive. Youve seen these in old movies about small town USA and TV shows like the great Leave it to Beaver and Andy Griffith. These are the knee or hip-high whitewashed wooden pointed pickets. They will keep some dogs in and chickens as well, but they offer zero security. Traditionally they are made of wood, but vinyl and aluminum products are now available for longevity and low-maintenance factors. Another good option for privacy in wind-sheltered areas. Pressure-treated pine or cedar boards are secured horizontally from post to post and woven around a center vertical fence post. It may be painted, stained, or left natural. A lattice style goes up quickly because the lattice panels are available pre-made from your lumber yard or home improvement store. They might be wood or molded plastic. Its a great choice for a high-wind location where privacy is desired. It will give you privacy by degrees because you can festoon it with climbing roses or morning glories. It will keep all your critters from wandering and is great around hot tubs or swimming pools or just propped up in sections in the garden for accent.